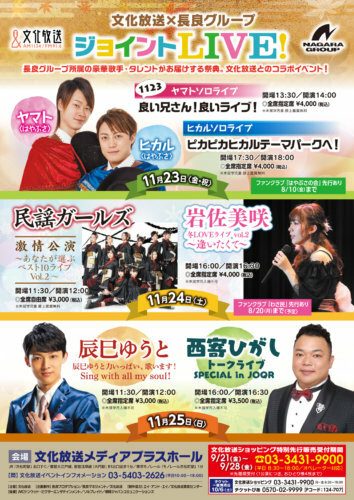 "Culture Broadcasting x Nagara Group Joint LIVE!" Will be held this time 2 time with great popularity of last year. "Yamato Solo Live ~ Good older brother (1123)! Good live! ~"
"Hikaru solo live - To shiny hikaru theme park!"